In the wildlife park in Assling children and adults can discover and learn a lot about many different animals. 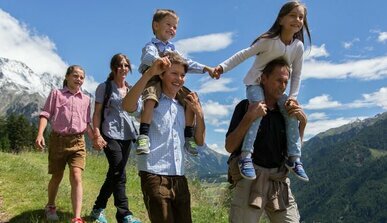 The adventure world with wildlife park is located in Assling in East Tyrol. 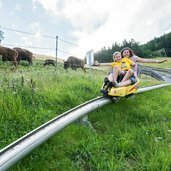 Also a summer sledge track is part of the offer. 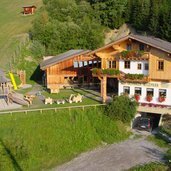 After an eventful day the Wildpark restaurant invites to a rest. On a surface of about 80,000 sqm the wildlife park in Assling counts more than 100 different European animal species like marmots, lynxes, wild pigs, martens, eagles, capricorns, roe deer, chamois, ducks, snakes and fish. Of course, sometimes visitors need to have some patience until they get to see the most timid animals, like for example the beautiful big deer. 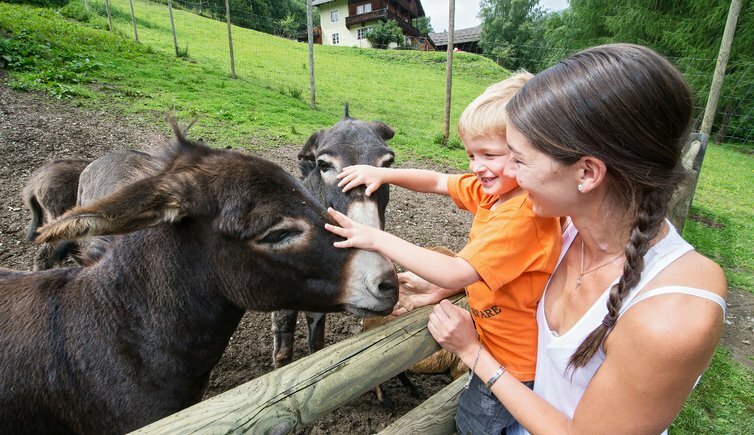 Some animals may even be fed and petted at the petting zoo. Visiting the wildlife park is not only very exciting but also very informative. On the forest theme path, for example, children can learn a lot about the protective function of the forest in a playful manner. 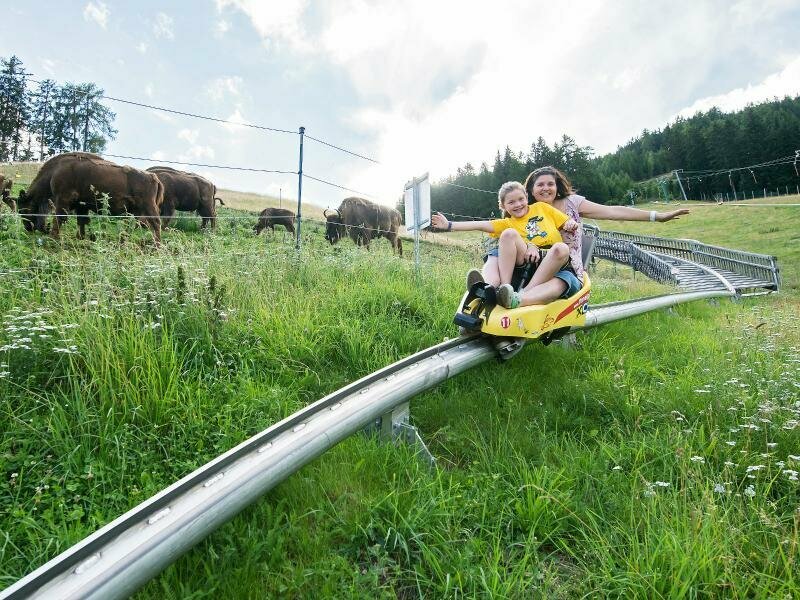 In summer, a lot of fun and action is guaranteed on the summer sledge track of the Assling Adventure World. 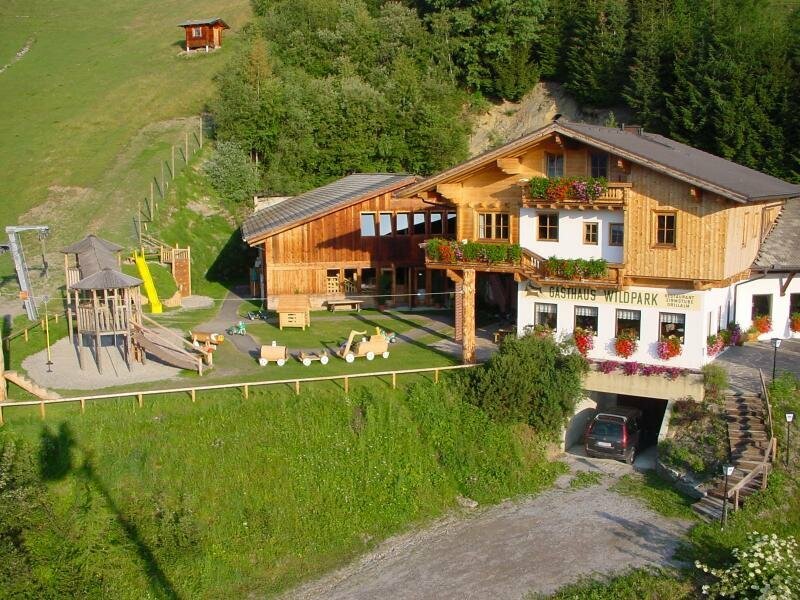 The offer is completed by a farmers’ shop, Grandpa’s model railway and the Wildpark restaurant.